Crypto is Here! You down with OPT(in) ? There is another copycat out there, but good thing they don't have our most valuable asset. YOU! The official website for OPTin Coins is www.optincoin.org. The website and white paper is under password protection until it is ready for release. We are currently only seeking accredited investors. We will never use any of your CPU for mining or other unethical practices. Unauthorized mining is MALWARE. The OPTin tokens are transferred to the Ethereum blockchain using our servers, only once a day, and stored using a proprietary side chain algorithm. Paypal, Amazon, other Gift Cards, will remain as redeemable with OPT directly. @themightyox You are absolutely right, we will always buy back at a minimum of $0.10 per OPTin, as long as the user earns and stores them on EHC. Happy tax day? We are hard at work improving your experience, and even with the recent headwinds in rewarded video watching, there is a lot of cool and profitable stuff coming down the pipeline. 1. Some good news. We have signed a couple new partners for mobile web, and within the next weeks, users will be able to use the browsers on phones to earn. We are very excited about this. 2. We are getting into cryptocurrency in a big way. The market research space is going to get totally disrupted, and we want to be a first mover. In the next week, all users will have their HD$ converted to OPTin Tokens (which is worth $0.10 or 10x HD$). Nothing else will change, other than earnings will be recorded on the Ethereum blockchain. One benefit is that users will be able to hoard OPTin tokens, and potentially sell them on exchanges for a profit. Another benefit is that your earnings can be portable between sites. We are in the process of signing up 20+ other reward sites that will accept OPTin Tokens. Lastly, we will guarantee to buy back OPTin tokens (earned from EarnHoney activities) at $0.10, so there is absolutely no valuation risk. 3. Some users (alright, a lot of people) flip between earning a lot one day and not earning anything the next day. Many have already guessed that advertisers are using a centralized company to qualify traffic, and one of the metrics is quantity of ads viewed. In short, more ads = higher chance to get flagged by this other company. "Good" users are earning more than ever, up to $1-2 per day, "Flagged" users earn pennies. The good news is that Flagged IP addresses can "heal" over time, or users can get more aggressive about getting around IP blocks. 4. Two months ago, Earnhoney was sued for defamation from a competitor. First of all, companies get sued all the time. In this case, it is about a certain video that appeared on Youtube. The competitor, in an attempt to shut down the video, sued. We can not discuss more while in legal proceedings, but the video looks legit to us, and we are prepared to vigorously defend ourselves in court, including potentially filing a counter-suit. 5. Lastly, we have been experimenting with LiveChat. Users have been able to get answers regarding redemptions, general how-to, and account questions answered faster than ever. As we are still in testing, the chat is only manned (or womanned) between 12 PM and 5 PM Eastern Standard US Time on Monday-Friday. If we missed you, just leave a message and someone will get back to you shortly. 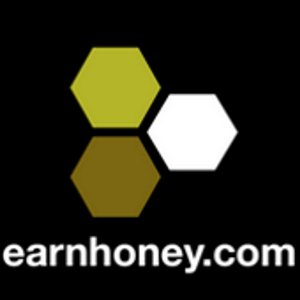 Since 2014, EarnHoney has been committed to bringing the best earning experiences to all users. This has not changed, we stand by our mission, and we appreciate the chance to serve you.